Hey friends! I've got a fun announcement today that I sure hope you'll enjoy and take part in with me...looking at you fellow bloggers! 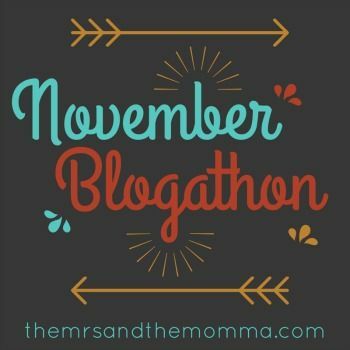 For the month of November (beginning this coming Monday 11/3), I'm hosting a "Blogathon" challenge to blog (almost) everyday of the month! Why in November, you ask? Why not in one of those slow months like June or July??? Well, here's why. November and December are my highest traffic months...and I'm guessing it's similar for you too...due to gift guides, holiday-themed posts, and random traffic from Google or Pinterest searches. So WHY NOT capitalize on that boost of traffic by blogging each day, upping your writing game, and hopefully hanging onto some of those new readers that come your way?!? Secondly, we all need to just breathe a bit and reflect on our lives this time of year. The holidays come fast and furious, and if you're like me, they whizz by leaving me wistful for something to hold on to. Don't let this busy month fly by in whirl...let's intentionally put some memories, thoughts, stories into our blogging to enrich this season and help us remember what it's all about. I promise it will be FUN! Here are the prompts below (excluding weekends). Of course you don't have to blog every single day, but I'll be here doing my thing all November and I'd love to have you on board! Make sure to share your posts using the hashtag #NovemberBlogathon (because frankly I'm too lazy for a linkup) and tag me please (because that's good manners)...bonus points if you retweet/share friends' posts! >>>FALL State of Mind Week<<< Monday 11/3 - There are 30 days in November, so share 30 facts about yourself. Tuesday 11/4 - Share your go-to, favorite Fall recipe. Wednesday 11/5 - Tell about your Fall or Holiday season traditions. Thursday 11/6 - Get your craft on...blog a Fall craft...or link to your favorite Martha Stewart one! Friday 11/7 - Tell us about your health/exercise routine. Do you have one? Tips? What works for you? >>>Week of BLOGGING Threes<<< Monday 11/10 - Share your 3 favorite posts from your archives Tuesday 11/11 - What are 3 of your blogging goals? Wednesday 11/12 - Put yourself out there and do a vlog about whatever tickles your fancy. Thursday 11/13 - If you could tell your novice blogger self 3 tips you wish you'd known... Friday 11/14 - Introduce 3 blogs you read/frequent and tell why you enjoy them. >>>Self-Reflection Week<<< Monday 11/17 - Tell about your city/hometown...what to do there, little gems, best restaurants, etc. Tuesday 11/18 - Write a "currently" posts using these prompts HERE. Wednesday 11/19 - Write a letter of forgiveness to some one you've held a grudge against...leaving names out of course. Thursday 11/20 - Talk about prayer...do you pray? How has it affected your life? Stories? Friday 11/21 - What did you want to be when you grew up? How did that pan out? Do you still have those dreams? I'm SO looking forward to the November Blogathon! Grab the button (⬇ ⬇ ⬇) and I'll see ya' on Monday!!!! This is going to be great! Love the prompts! Oh, I love this! 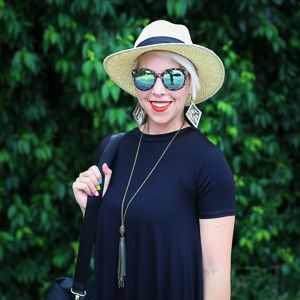 These ideas are so fresh and inspiring as well…I'm in!